The game unlocked right on my usual tuesday night when I always do my EF updates, so forgive me for not bothering. 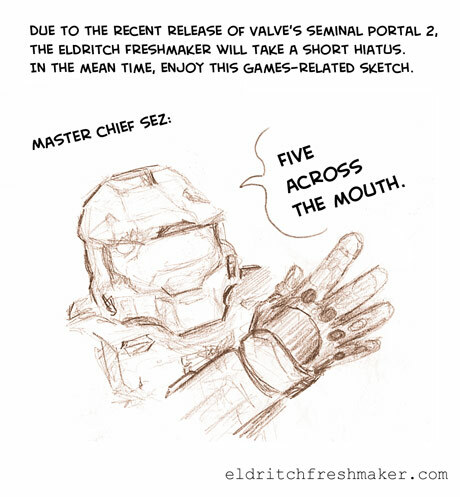 Due to the recent release of Valve’s seminal Portal 2, The Eldritch Freshmaker will take a short hiatus. In the mean time, enjoy this games-related sketch.